It is located at Hwara, near to the Fayoum. After the failure of his first pyramid at Dahshur, after almost 15 years worth of work, he completely abandoned that pyramid and started completely over with a new pyramid. 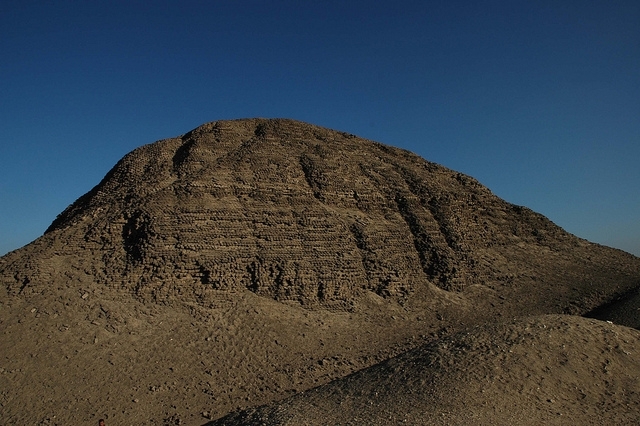 Amenemhat III built his second Pyramid closer to the area he seemed to love, the Fayoum. This pyramid was built as the ancient Egyptians believe in the resurrection. 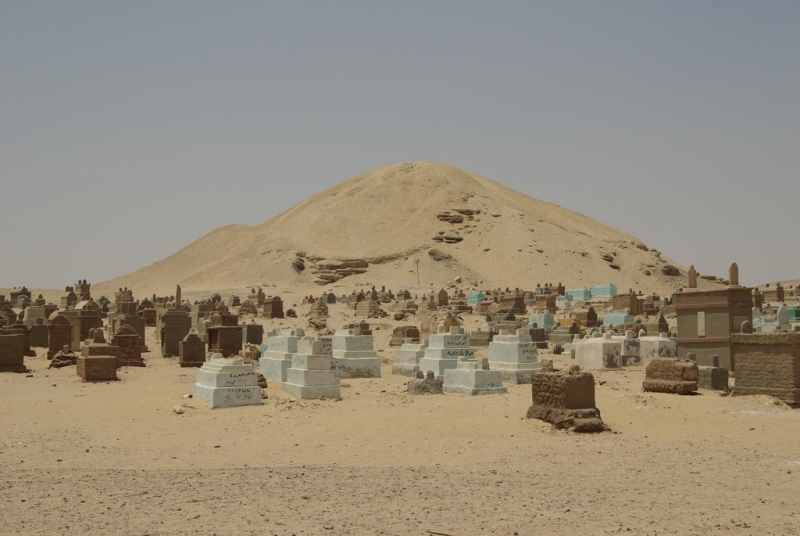 Amenemhat III was buried in this pyramid according to the ancient Egyptian concept of life after death. This pyramids owes its name to the fact that its core was made of white limestone. It has suffered a lot from stone robbers. Its Ancient Egyptian name was sxm, The Mighty Pyramid. Despite the fact that this is the first pyramid complex to break with a long tradition that started with the reign of Snofru, it is very badly documented and almost no research was done there. This leaves us with a very crude map, which is very likely incomplete and inaccurate. The pyramid's based very roughly measured 50 by 50 meters. The slope and original height are not known. 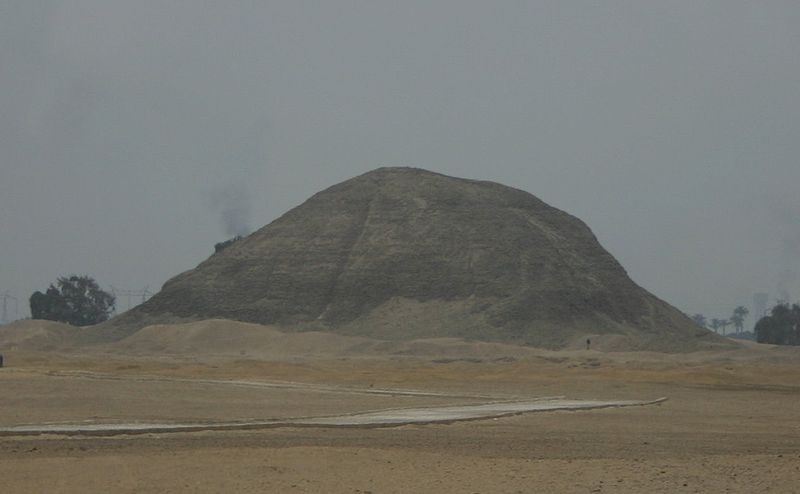 The building technique of this pyramid is fairly typical for the Middle Kingdom: the core was made of white limestone, forming a skeleton of walls. The compartments between the walls were filled with sand and the entire pyramid was encased in white limestone. The entrance is still located in the middle of the North face. A short corridor descends down into the pyramid and leads to a burial chamber. It is not known if the burial chamber is located inside the core of the pyramid or under the ground. There are some niches in the walls of the burial chamber, but their purpose is not known. The sandstone sarcophagus was set into the floor against the West wall. The weight of the pyramid's core was diverted from the burial chamber's flat ceiling by a second roof made of huge beams that lean against one another. Just before the entrance to the burial chamber, there is a shaft of about 2 meters which leads to a corridor that is located just underneath the entrance corridor. There is a hole at the end of this second corridor, which was probably intended for the canopic chest. The enclosure wall surrounding the complex was long and rectangular, reminiscent of the enclosure wall surrounding the complex of Netjerikhet at Saqqara. A broad causeway connects to the East of the enclosure wall. There are two massive constructions, resembling the pylons at some 5th Dynasty pyramid complexes at the entrance to the complex. To the West of the Pyramid, but still, within the enclosure wall of the complex, there are several tombs belonging to various members of the royal family. 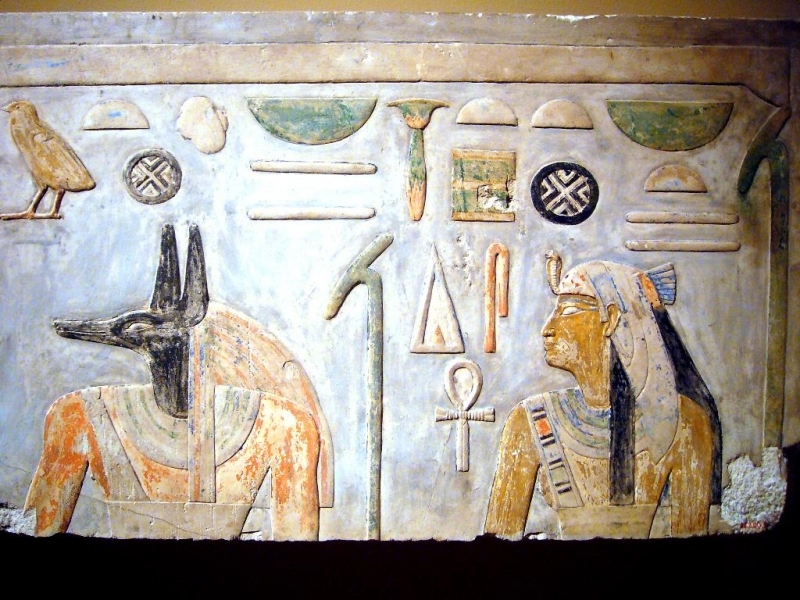 The tombs of two daughters of Amenehat II, Khnumet, and Ita, were found to contain jewelry and some personal items of these princesses.